This genus is accepted, and is native to Europe, Asia-Tropical, Africa, Falkland Island, Southern America, Australasia, Northern America and Asia-Temperate..
Achenes fusiform, with a long beak; pappus of barbellate bristles. Perennial scapigerous herbs with simple or branched taproots. Leaves radical, rosulate, entire, sinuate-dentate or runcinate. Scapes 1-many, simple, hollow; capitula large solitary terminal. Involucres oblong-campanulate; phyllaries 2-seriate, the inner series erect, the outer series shorter and spreading or recurved. Receptacle ± flat, epaleate, pitted. Anthers sagittate at the base with shortly setaceous-acuminate auricles. Style branches long slender, sweeping hairs long. Achenes fusiform-oblanceolate, many-ribbed, narrowed and shortly conical above before tapering ± abruptly into a slender stalk-like beak (rostrum), beaks rarely absent, the ribs antrorsely muricate or echinate above. Pappus many-seriate consisting of numerous slender, unequal setae. Taraxacum akteum Hagend., Soest & Zevenb. Taraxacum anadyrense Nakai & Koidz. Taraxacum aphanochroum Hagend., Soest & Zevenb. Taraxacum aristum G.E.Haglund & Markl. Taraxacum armatifrons Hagend., Soest & Zevenb. Taraxacum assemani C.I.Blanche ex Boiss. 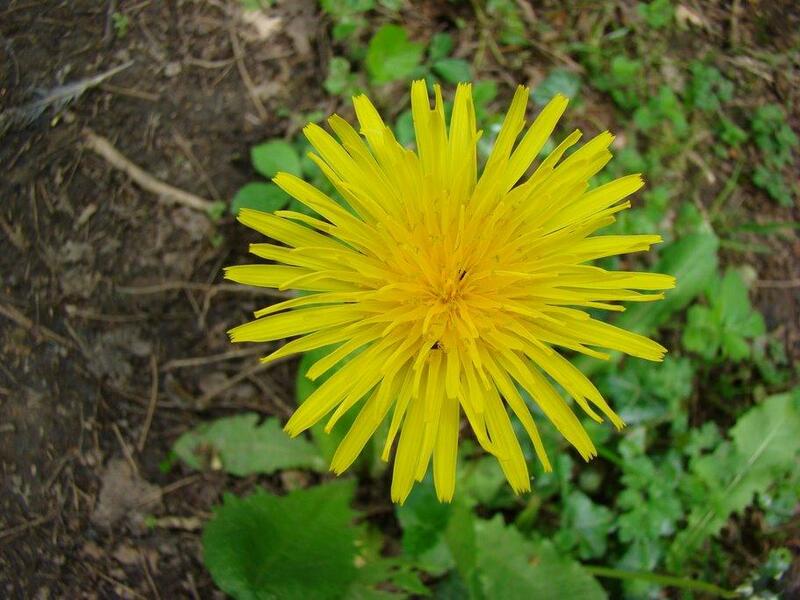 Taraxacum atroviride tepánek & Trávn. Taraxacum aurosulum H.Lindb. & H.Lindb. Taraxacum ayllonense A.Galán & Vicente Orell. Taraxacum badzhalense Vorosch. & Shlotg. Taraxacum beeftinkii Hagend., Soest & Zevenb. Taraxacum brabanticum Hagend., Soest & Zevenb. Taraxacum brachylepis Markl. ex Puol. Taraxacum broddesonii Lundev. & H.Øllg. Taraxacum calochroum Hagend., Soest & Zevenb. 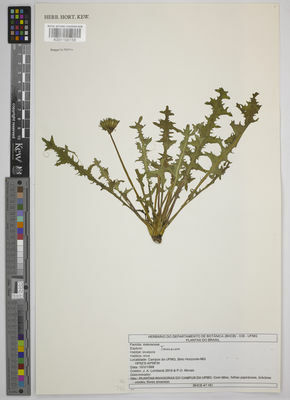 Taraxacum cantabricum A.Galán & Vicente Orell. Taraxacum cariciphilum Sonck & H.Øllg. Taraxacum chloroticum Dahlst. ex Florstr. 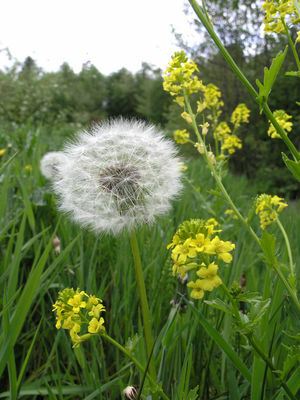 Taraxacum clarum Kirschner, tepánek & Trávn. Taraxacum cochleatum Dahlst. & H.Lindb. Taraxacum concolor H.Lindb. & H.Lindb. Taraxacum corynodiforme Hagend., Soest & Zevenb. Taraxacum crassum H.Øllg. & Trávn. Taraxacum crocinum (Dahlst.) G.E.Haglund & Nordenst. Taraxacum cymbifolium H.Lindb. ex Dahlst. Taraxacum decastroi A.Galán & Vicente Orell. Taraxacum denticulatum Hagend., Soest & Zevenb. Taraxacum distinctum H.Lindb. & H.Lindb. Taraxacum effusum Hagend., Soest & Zevenb. Taraxacum ekmaniiforme Hagend., Soest & Zevenb. Taraxacum epacroides Markl. ex Puol. Taraxacum ericinoides Hagend., Soest & Zevenb. Taraxacum estrelense A.Galán & Vicente Orell. Taraxacum euoplocarpum Markl. ex H.Lindb. Taraxacum expandens Lundev. & H.Øllg. Taraxacum faeroense Dahlst. ex Henry H.Johnst. Taraxacum farinosum Hausskn. & Bornm. ex Hand.-Mazz. Taraxacum fictum Hagend., Soest & Zevenb. Taraxacum filidens Hagend., Soest & Zevenb. Taraxacum finitimum Lundev. & H.Øllg. Taraxacum flandricum Hagend., Soest & Zevenb. Taraxacum gasparinii Tineo ex Lojac. Taraxacum gentile G.E.Haglund & Rail. Taraxacum gilliesii Hook. & Arn. Taraxacum glaciale É.Huet & A.Huet ex Hand.-Mazz. Taraxacum glaucanthum Nakai ex Koidz. Taraxacum glossodon Sonck & H.Øllg. Taraxacum gotoburgense Saarsoo & Borgv. Taraxacum harpagoides Sonck & H.Øllg. Taraxacum hebelobum Hagend., Soest & Zevenb. Taraxacum horridum Hagend., Soest & Zevenb. Taraxacum huddungense Lundev. & H.Øllg. 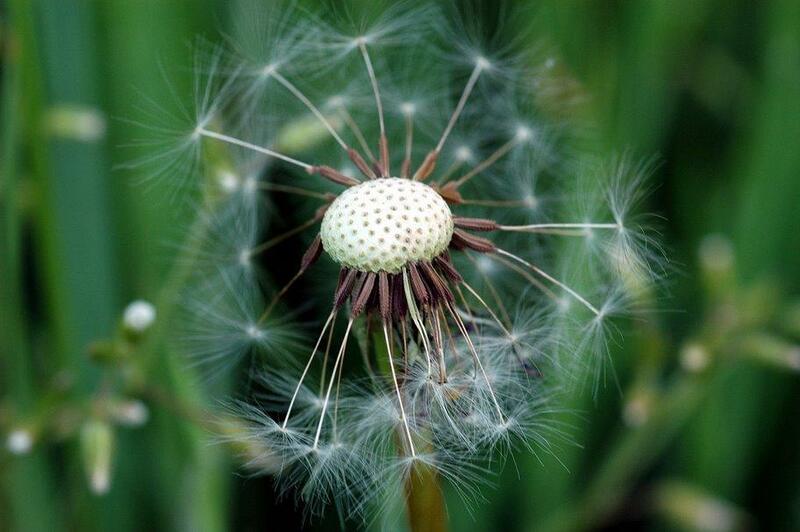 Taraxacum incisiforme Hagend., Soest & Zevenb. Taraxacum incomptum Hagend., Soest & Zevenb. Taraxacum infestum Hagend., Soest & Zevenb. Taraxacum islandicum Dahlst. ex M.P.Christ. Taraxacum kernianum Soest, Hagend. & Zevenb. Taraxacum ketoiense Tatew. & Kitam. Taraxacum krylovii Krasnikov & Khanm. Taraxacum kuusamoense H.Lindb. & Palmgr. Taraxacum lacianense A.Galán & Vicente Orell. Taraxacum laciniosifrons Dahlst. ex Wiinst. Taraxacum lancidens Hagend., Soest & Zevenb. Taraxacum lecitodes Dahlst. ex Hagl. Taraxacum lehbertii H.Lindb. ex Pettersson & H.Lindb. Taraxacum lilacinum Krasn. ex Schischk. Taraxacum linguicuspis H.Lindb. & H.Lindb. Taraxacum livonicum Markl. ex Pettersson & Markl. Taraxacum lucidiforme Hagend., Soest & Zevenb. Taraxacum melanostigma H.Lindb. & H.Lindb. Taraxacum microcranum Markl. ex Pettersson & Markl. Taraxacum microlobum Markl. ex Eklund & Markl. Taraxacum mimulum Dahlst. ex H.Lindb. 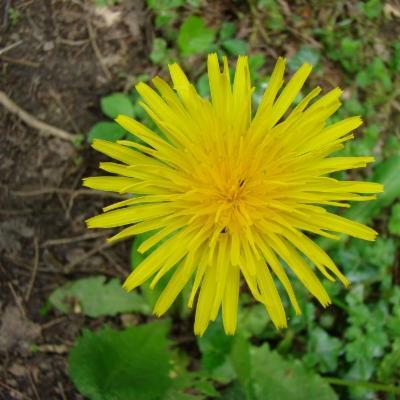 Taraxacum minutilobum Popov ex Kovalevsk. 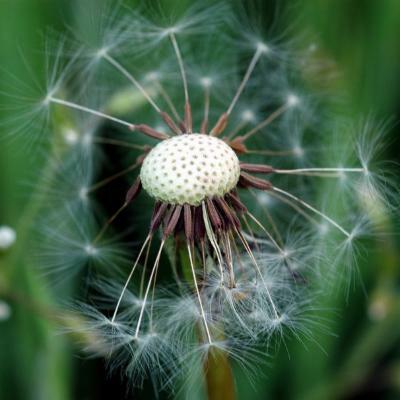 Taraxacum nivale Lange ex Kihlm. Taraxacum nubilum Hagend., Soest & Zevenb. Taraxacum nylandicum Sonck & H.Øllg. Taraxacum obnuptum Lundev. & H.Øllg. Taraxacum ordinatum Hagend., Soest & Zevenb. Taraxacum otagirianum Koidz. ex Kitam. Taraxacum pachymeroides Hagend., Soest & Zevenb. Taraxacum pallens H.Lindb. ex Pettersson & H.Lindb. Taraxacum pallidipes Markl. ex G.E.Haglund & Markl. Taraxacum penyalarense A.Galán, E.Linares & Vicente Orell. Taraxacum pilosella Lundev. & H.Øllg. Taraxacum planoides Hagend., Soest & Zevenb. Taraxacum ploegii Hagend., Soest & Zevenb. Taraxacum porcellisinus Sonck & H.Øllg. Taraxacum princeps Vaut & Trávn. Taraxacum prunicolor Mart.Schmid, Vaut & Oosterv. Taraxacum pseudacrolobum Hagend., Soest & Zevenb. Taraxacum pulchrifolium Markl. ex H.Lindb. Taraxacum pullum Markl. ex Puol. 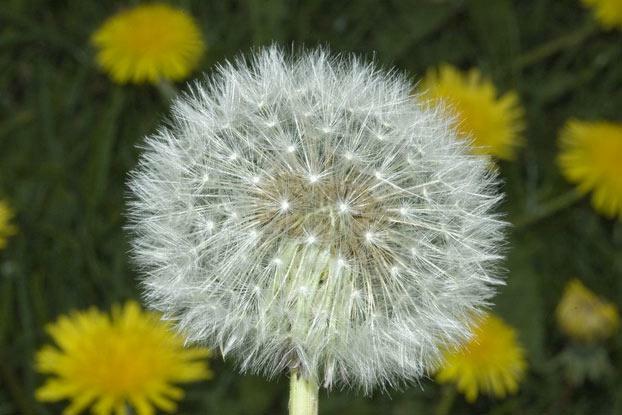 Taraxacum puolannei Markl. ex Puol. Taraxacum rangiferinum Sonck & H.Øllg. Taraxacum recessum Hagend., Soest & Zevenb. Taraxacum replicatum Hagend., Soest & Zevenb. Taraxacum rigens Hagend., Soest & Zevenb. Taraxacum ruberulum Dahlst. & Borgv. Taraxacum salsitatis Kirschner, tepánek & Yild. Taraxacum samicum Sonck & H.Øllg. Taraxacum sangilense Krasnob. & Khanm. Taraxacum scalifolium Hagend., Oosterv. & Zevenb. Taraxacum scolopendrinum Heldr. ex Dahlst. Taraxacum serratidentatum G.E.Haglund & Rail. Taraxacum stenoschistoides Hagend., Soest & Zevenb. Taraxacum subditivum Hagend., Soest & Zevenb. Taraxacum subericinum Hagend., Soest & Zevenb. Taraxacum sublaciniosum Dahlst. & H.Lindb. Taraxacum subpenicilliforme H.Lindb. ex Dahlst. Taraxacum subxanthostigma M.P.Christ. ex H.Øllg. Taraxacum tenellisquameum Markl. ex Eklund & Markl. Taraxacum texelense Hagend., Soest & Zevenb. 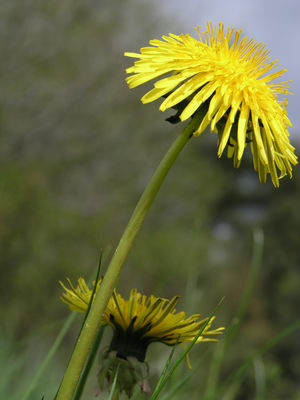 Taraxacum theodori Lundev. & H.Øllg. Taraxacum tinctum Markl. ex H.Lindb. Taraxacum tortuosum Hagend., Soest & Zevenb. Taraxacum turgidum Meierott & H.Øllg. Taraxacum unciferum Markl. ex Rail. Taraxacum unguifrons Hagend., Soest & Zevenb. 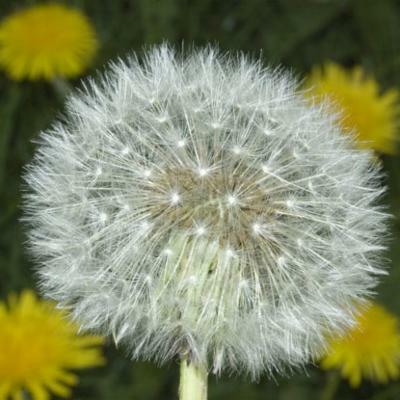 Taraxacum urbicola Kirschner, tepánek & Trávn. Taraxacum vastisectiforme Hagend., Soest & Zevenb. Taraxacum viridans G.E.Haglund ex H.Øllg. Taraxacum xerophilum Markl. ex H.Lindb. Prim. Fl. Hols. : 56 (1780) nom. conserv. K. Bremer, Asteraceae Clad. & Class. : 182 (1994), nom. conserv.